This past week, WCHA Women’s Hockey Commissioner, Aaron Kemp, visited the University of North Dakota campus. Kemp was in town to tour the Ralph Engelstad Arena, and met with the UND administration about the upcoming WCHA Final Face-Off. North Dakota is set to host the Woman’s WCHA Final Face-Off on March 7-8, 2015, at the Ralph Engelstad Arena. This wasn’t Kemp’s first visit to the Ralph. The commissioner last visited Grand Forks, ND, on December 13-14, 2002, as an assistant coach with Canisius Golden Griffins. You might say that Kemp’s first visit to the Ralph didn’t go very well. 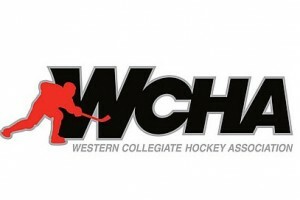 One of the concerns during last year’s NCAA Women’s Division I Hockey Tournament was that WCHA’s is best conference in women’s division I college hockey, yet the conference only landed two teams in the NCAA tourney. Also, of the eight teams in the NCAA tourney, only three were from the west (Mercyhurst, Minnesota and Wisconsin). That didn’t sit real well with some fans in the west. By being a power conference, the WCHA is actually shooting themselves in the foot, because the Women’s WCHA has become so tough. Every team in the WCHA is a good hockey team, and they’re being punished for that in the Pairwise Rankings. One of the solutions mentioned was that the WCHA drop the number of conference games, and schedule more teams from the east. I asked the new commissioner if that was something that the league had talked about. More Women’s College Hockey games on television? With the rise of Women’s Division I College Hockey, one of the concerns that has surfaced is that women’s college hockey lacked television coverage. From a fan’s perspective, it’s hard to find the women’s game on television. Even during the NCAA tournament, none of the games were on national television. I asked the commissioner if there was going to be an effort to get more women’s college hockey games on television. If first impressions are anything, I think the new commissioner did very well getting the league’s message out. It would appear that the league is in good hands with commissioner Kemp.